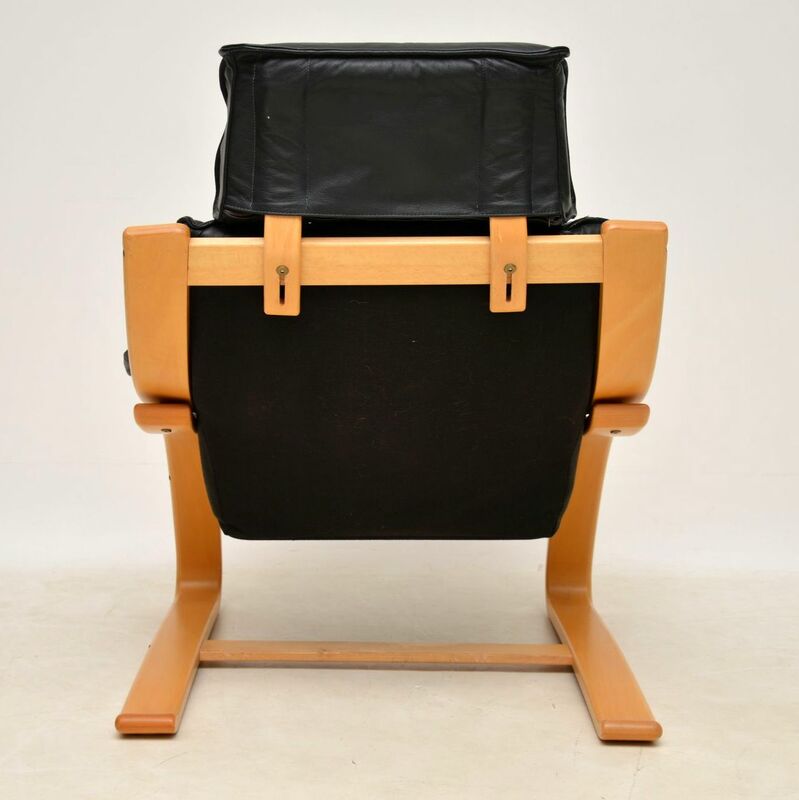 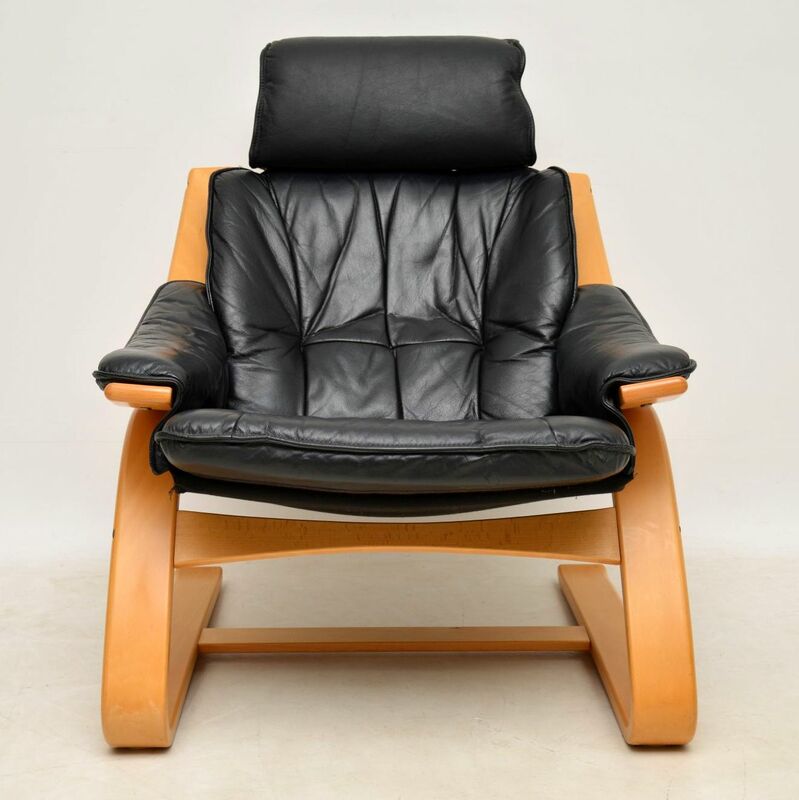 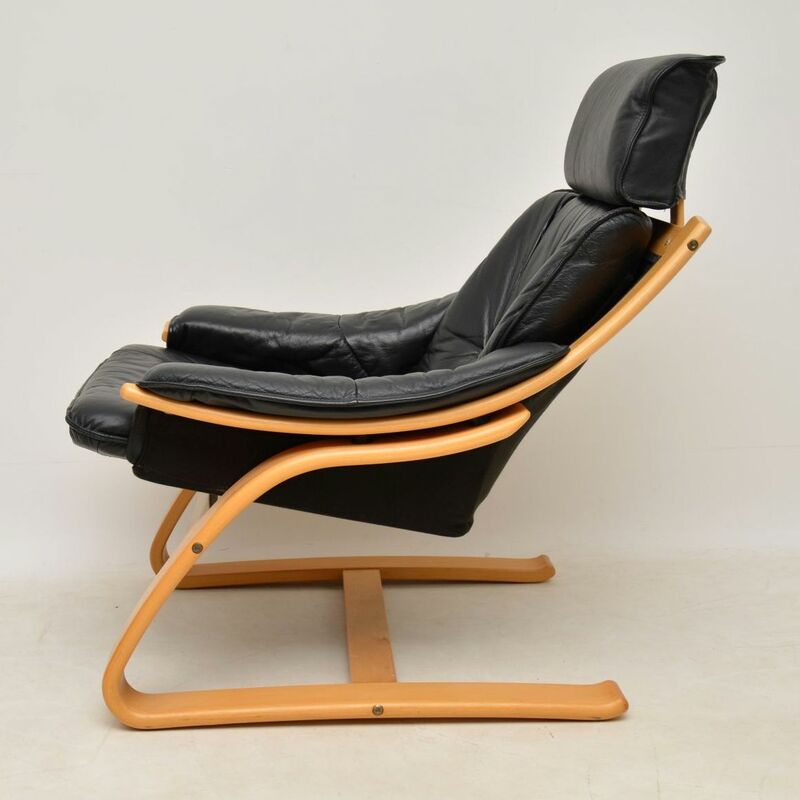 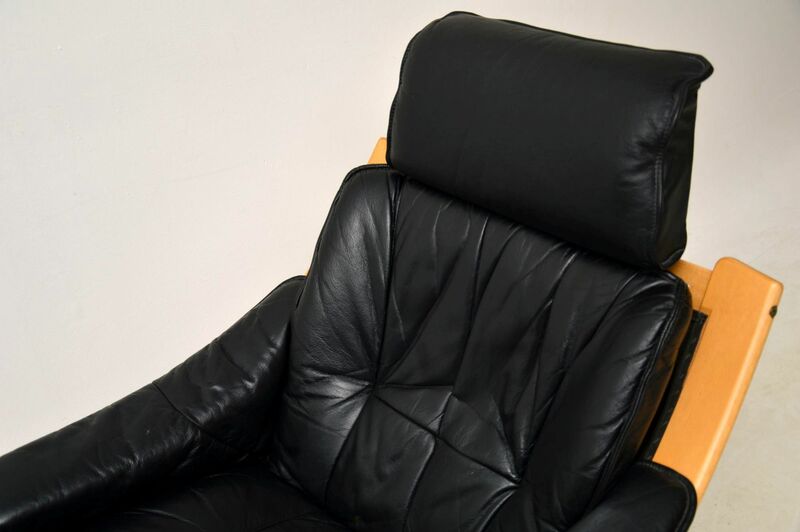 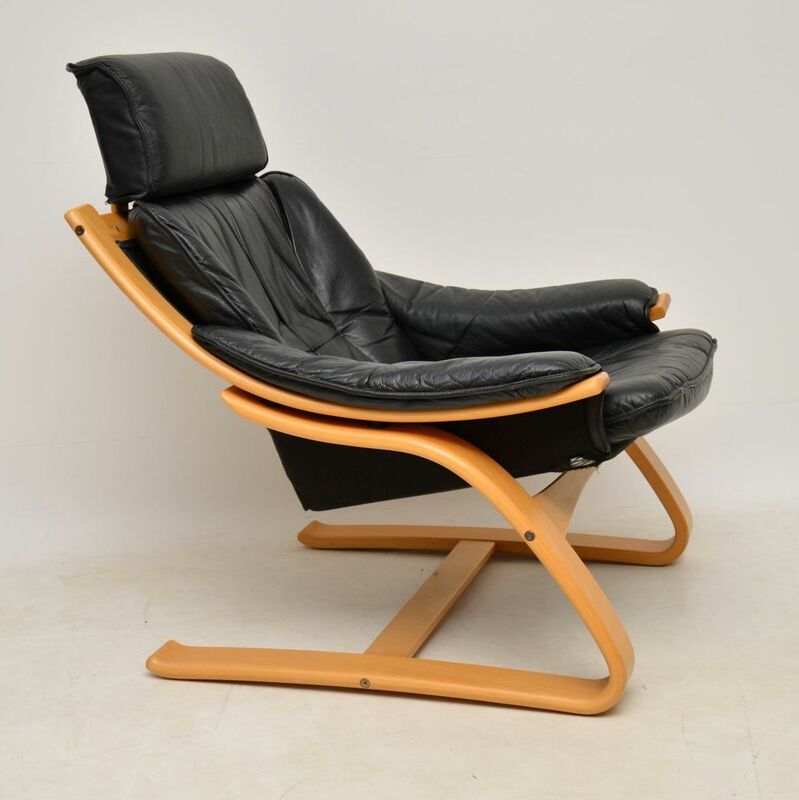 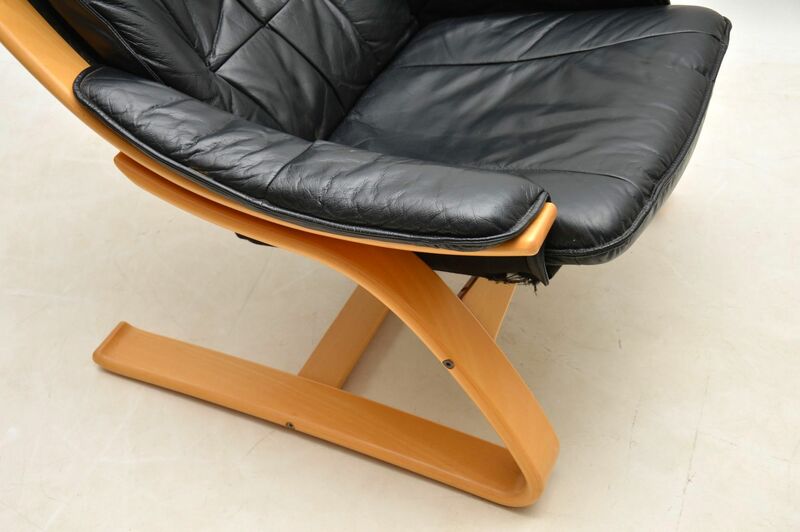 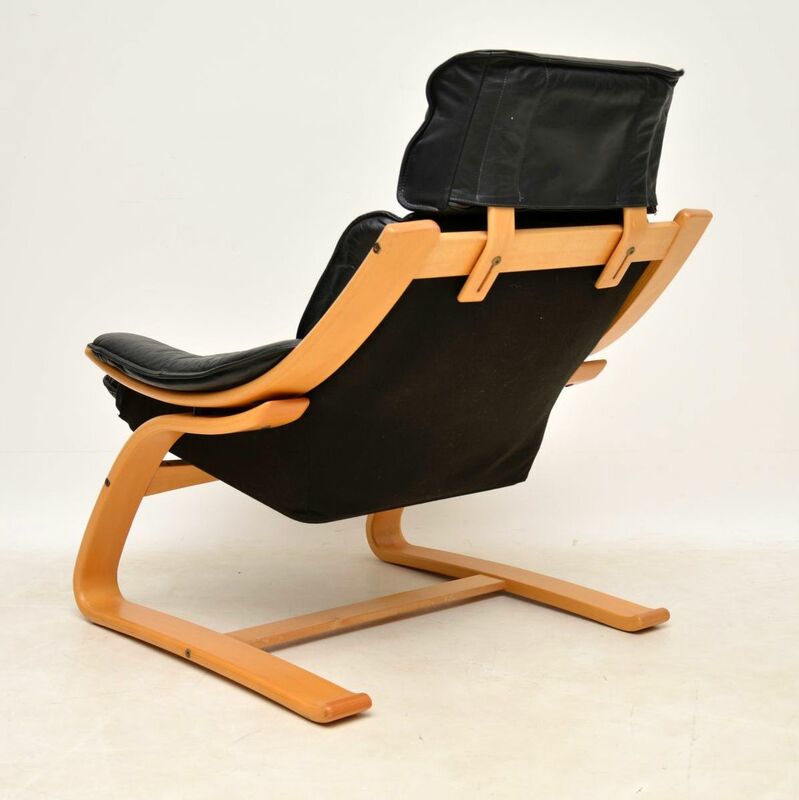 A very stylish and extremely comfortable Danish leather armchair on a stunning cantilever bentwood frame. 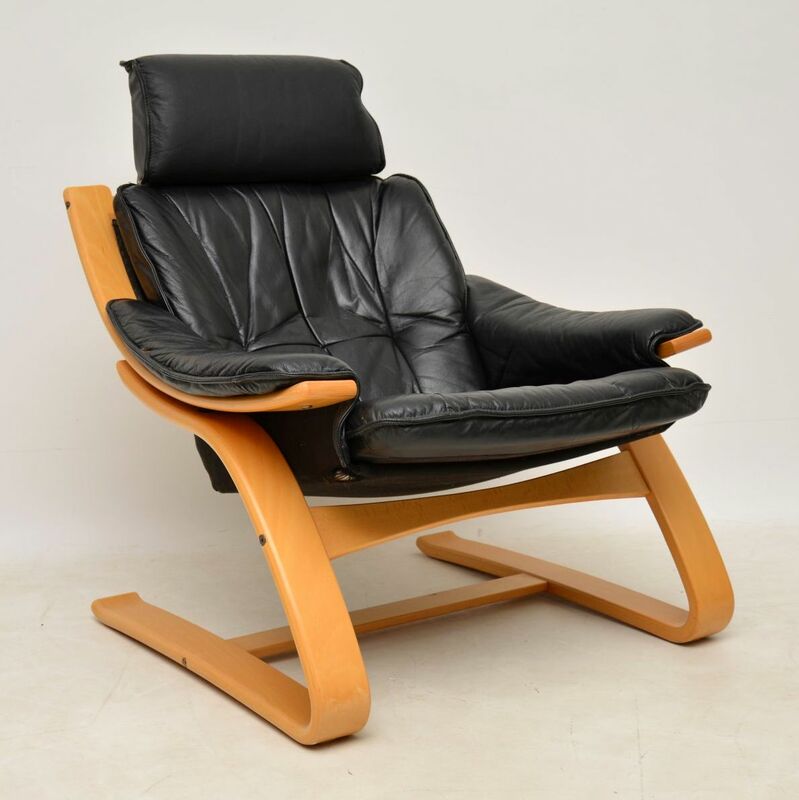 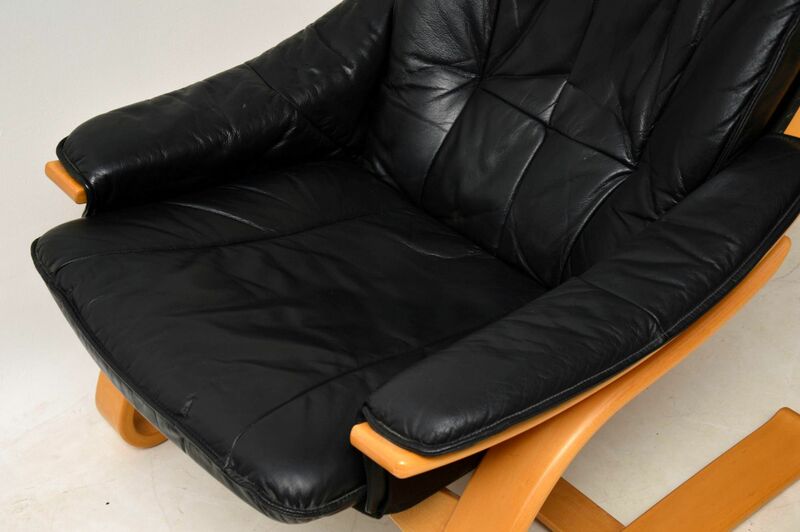 This dates from around the 1970’s, the black leather is in superb condition, as is the light wood frame. 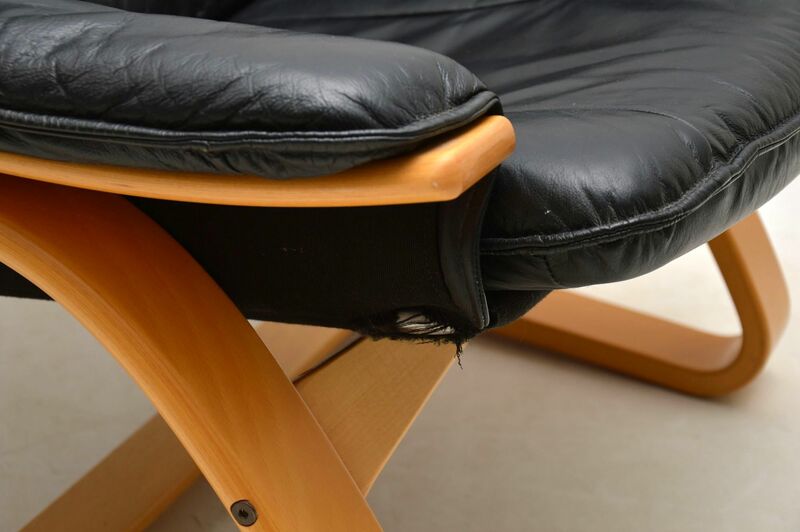 There is just a minor hole in the canvass on the lower corner, not really noticeable at all when you look at the chair from standing height, and not likely to worsen.